I went to a great event last night, it was a Networx event, organised by the fabulously vivacious Kimberley Palmer and it was all about how to ‘Maximise the Media‘. 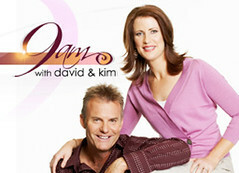 One of the the four panelists was Raquel Stevens, the Senior Producer for ‘9am with David & Kim‘ which airs on Channel Ten on weekdays at 9am (surprise, surprise). Racquel said to: “Aim your stories at one of the three H’s – heart, hip-pocket or health“. She says that these are the three themes that they cover regularly on the show. And if you think about it, lots of media coverage in all its formats give extensive coverage to these topics. I’ve got more good goss from the session, so keep watching this space. Wikipedia – What is Publicity? I love a good snippet of information – and here’s a great one for all you publicity seekers.. This is an edited excerpt from one of my great internet loves Wikipedia. While it’s Wikipedia’s definition for ‘newsworthiness’ you can use it as a fabulous little checklist to see if your story idea has got what it takes to be considered as ‘news’. Now, isn’t that a handy snippet! So next time you’re thinking about getting publicity, see if your idea meets any of the above news values. Here’s how it goes – make a personalised approach to a magazine and get a three-page spread, then from that, get picked-up by another magazine and if that isn’t enough, get picked-up by prime time TV! That’s exactly what happened to one of my clients! Catherine Lockhart and Gillian Cornwell of Busy Mothers are not only busy mothers, but also busy publicists! Catherine and Gillian became mentees of mine after they successfully got great coverage in the fabulous Notebook magazine. They became addicted to publicity and wanted more, more, more – so they called me (bless them!). Well through their own doing, they are now going to be on Channel 7’s Today Tonight program. I’m soooo excited for them. Keep body movement to a minimum – absolutely, under no circumstances do we want to see waving around of hands! So keep watching Today Tonight and let these two amazing women inspire you – not only to get a little bit organised, but also to get out there and get some publicity! Hello. I’m back from my beachside sojourn – had a fabulous time but now it’s back into publicity, publicity, publicity! 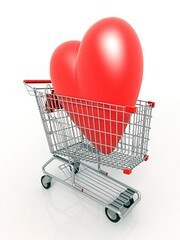 Let’s have a competition… see how we can link your businesses into Valentine’s Day and get some media coverage. We all get a bit ‘over’ the mundane V Day, so let’s spice it up a bit with some inventive small business stories. As an example, I have a publicity business so what’s an imaginative, newsy, attention-grabbing link that will get the journalists intrigued? OK, so there’s just a couple – how can you link your business to Valentine’s Day and make it attractive to the media? If you want some help, simply post a comment and perhaps all of us can help you out – BUT YOU BETTER BE QUICK because V Day is next Wednesday and the timing is tight. And just remember, we’re thinking radio, tv and newspapers here so our angles have to have some bite.